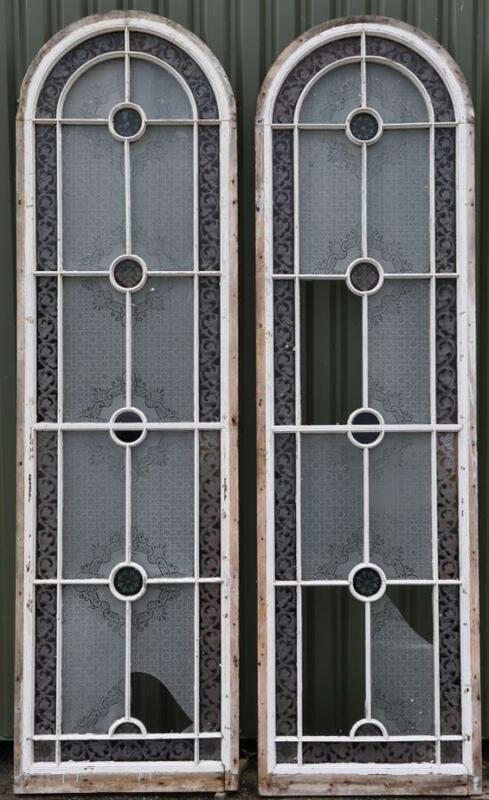 A pair of antique stained glass windows nearly 12 feet high.Approx 1860 from a house in the Lake District. 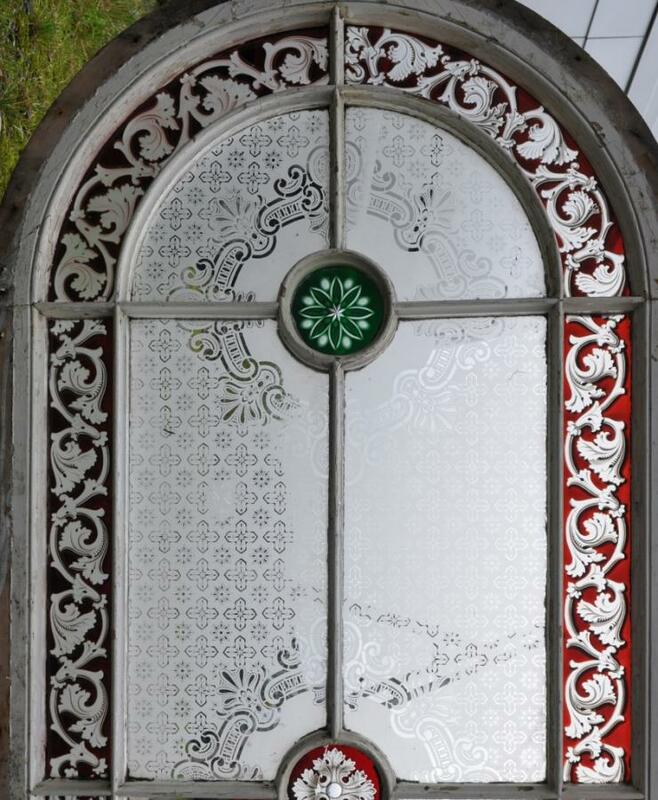 Etched glass large pieces with decorative central roundels ( the green ones cut )and corner pieces and a floral border on flashed red clear glass. Damage to several of the larger etched pieces ( 3 per window), 3 perimeter glass breaks/cracks, 3 roundel glass breaks/cracks. 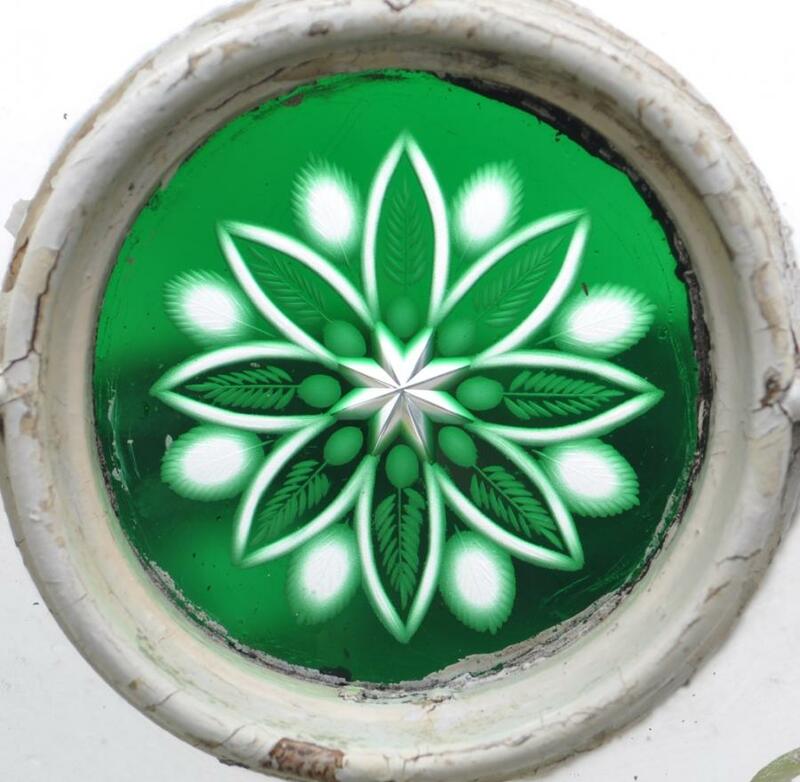 One perfect original window could be made up from the pair or all the perimeter and roundel glass could be retained(useable) and the larger pieces replaced in one or both window. Dimensions in inches/cms; 139.5/354 (11foot,7.5inches) x 39.5/approx100 3/7 thick ( 2.25" without the perimeter moulding on the outside) Moulded frames largely sound and useable. Further/larger photos sent on request.